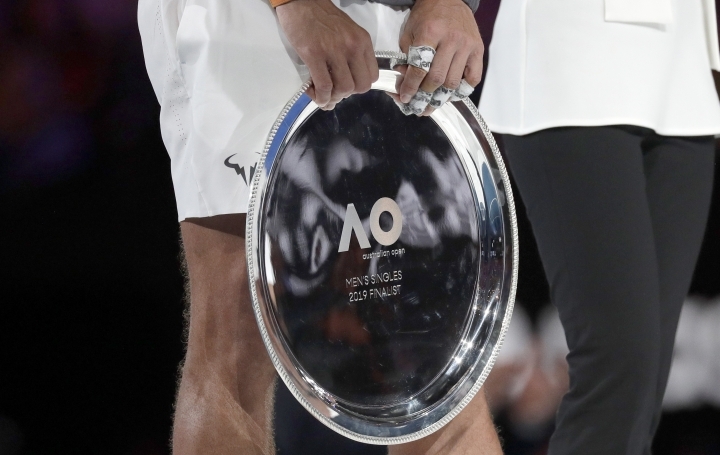 MELBOURNE, Australia — Lesser experienced players than Rafael Nadal have felt destroyed by the kind of defeat Novak Djokovic inflicted on him in the Australian Open final. "Stefanos is so young. 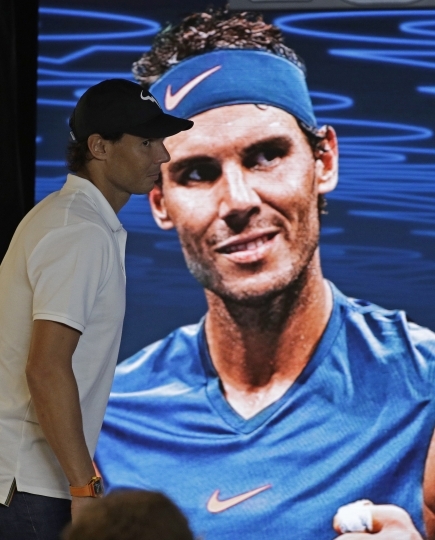 He hasn't been destroyed enough times to know that that can happen on a tennis court," Nadal said. "I am not new on this. I know these kind of things happens — even to the best players of the history." Nadal lost 13 of the first 14 points, and took just a single point off Djokovic's serve in the first set. He couldn't find the extra shot he needed in rallies to claw his way back into the match. He dropped sets for the first time in the tournament, and eventually slumped to his heaviest loss to Djokovic in their Grand Slam meetings. Now they're 4-4 in Grand Slam finals. "He was better than me tonight. 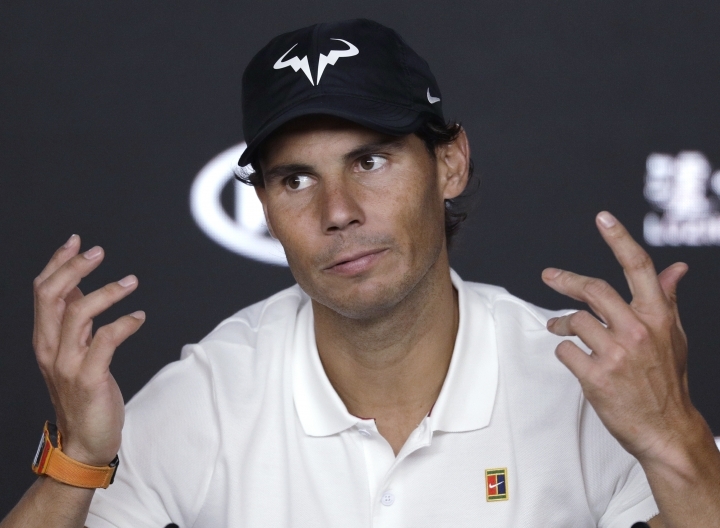 That's the sport," Nadal said. "We can talk a lot, but when the player did almost everything better than you, you can't complain much." Nadal only had one look at break point — 1 hour, 46 minutes into the match — and he couldn't convert after netting a backhand. He dropped his head and looked down at the court. "I don't want to say I figured him out because I don't want that to bounce back at me in any way in the future," Djokovic said. "I might have figured him out for the match, but not for life." "I have been going through very tough moments," he said, listing a string of ailments ranging from his knee, his feet, abdominal issues to an ankle operation at the end of 2018, and a strained thigh muscle in the first week of this season. 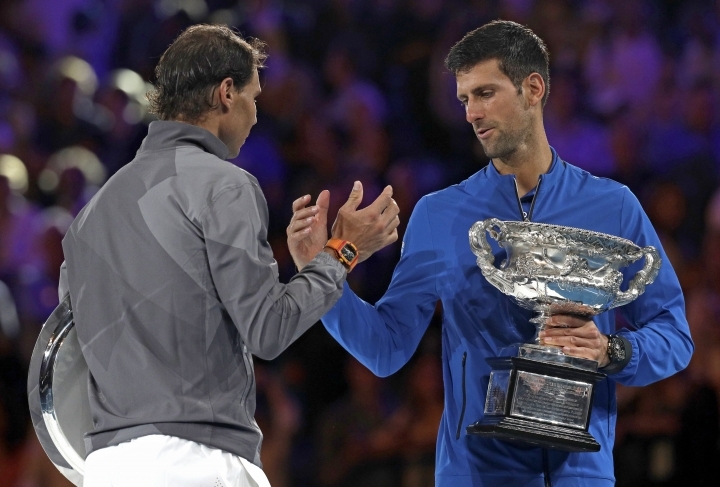 "Was unbelievable the way that he played," Nadal said. "But ... five months without competing, having that big challenge in front of me, I needed something else. That something else probably today, I don't have it yet ... to compete at this super high level." "The positive things that happened these couple of weeks make us very optimistic regarding his future and his level," Moya said of Nadal. "We know there is room to keep improving. He's been playing very well the past six matches, improving his serving and being very aggressive. We have to be happy the way these two weeks went."